Sunshine, glorious sunshine! What a wet winter we had here in Auckland and now it seems like spring is here. Mornings are still chilly but it won’t be long now for the t-shirt, shorts and jandal weather, I can’t wait. 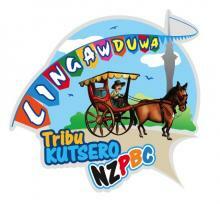 The team at Lingaw Duwa are doing the sporting event again on Saturday 30th September and NZPBC is joining. This Filipino sporting event aims to promote Philippine traditional and indigenous games to strengthen the bond among various Filipino groups and introduce these games to other cultures.